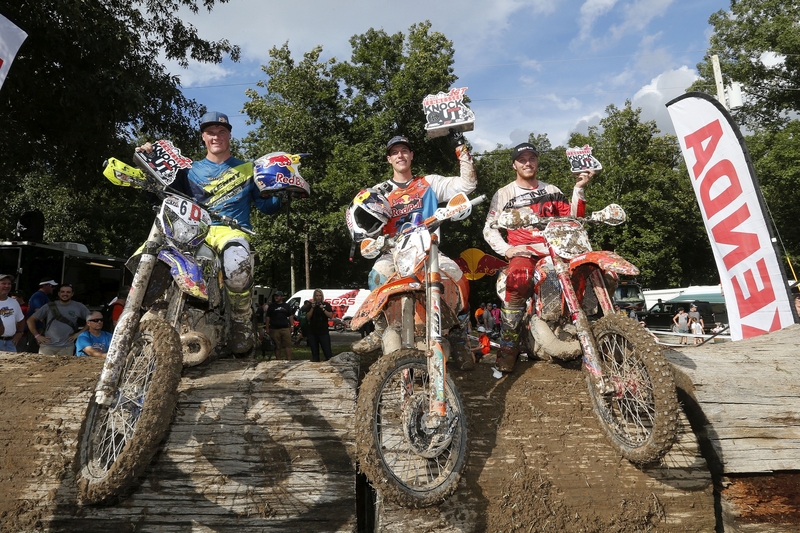 The 2017 Kenda Tennessee Knockout podium included American Cody Webb, the UK’s Graham Jarvis and Spain’s Mario Roman. Who will take the podium in 2018? 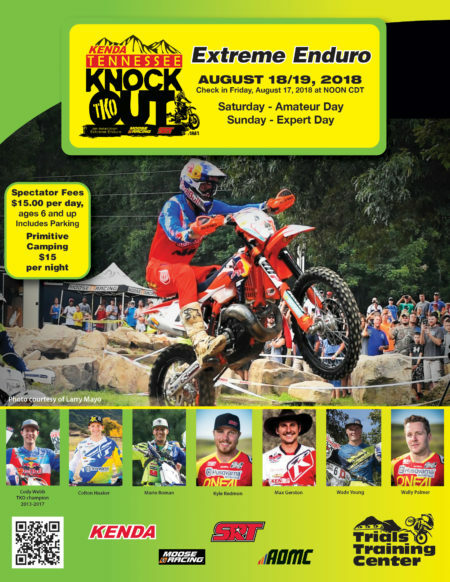 The eighth annual KENDA AMA Tennessee Knockout, presented by Moose Racing and SRT will take place on August 18 – 19, 2018 at the Trials Training Center. The TKO has attracted some of the top off-road racers from around the world making it one of the premier off-road motorcycle races in the US. American Cody Webb has dominated the race despite tough competition from the likes of Graham Jarvis, Mario Ramon, Wade Young and Jonny Walker in recent years. Webb will be back on his FMF KTM Factory Racing machine ready to take on all challengers again in 2018. 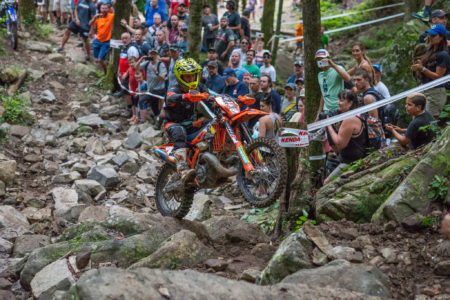 We are not sure yet which of top international riders will be back to try to knock off Webb but they have all been extended an invitation along with the top US off-road racers. 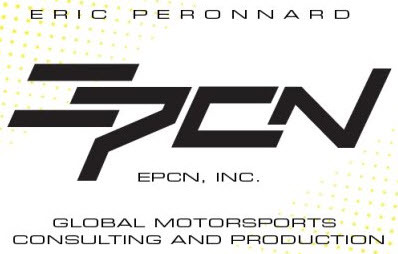 They will again be gunning for a $10,000 purse. The KENDA AMA Tennessee Knockout uses a unique four-round Knockout race format that is challenging for the riders and entertaining for the fans. The amazing Trials Training Center, in Sequatchie, Tennessee, allows for easy access to the race action. 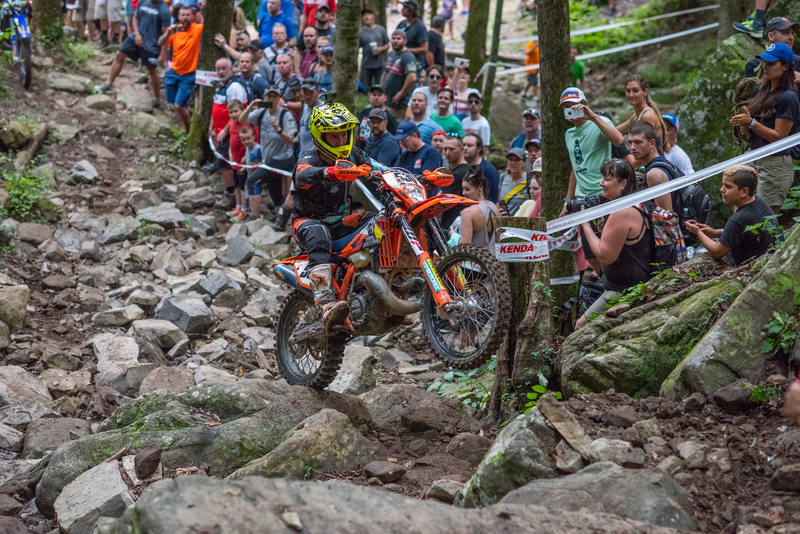 The top five finishers at the previous TKO events have included riders from EnduroCross, World Extreme Enduro, Trials, National Enduro, GNCC, WORCS and even the Enduro World Championship. So, it is a great mix of backgrounds facing off on an extremely challenging course with a large purse on the line. Pre-qualified riders get a free entry into the Sunday program. 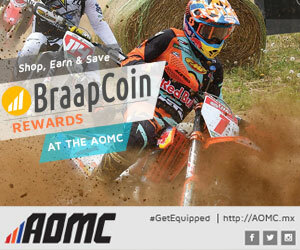 These riders earn an invite based top results in several major US or International off-road motorcycle race events. Top-25 finishers from the prior year also earn a spot on the Sunday invite list. On Saturday, those riders that did not already earn an invite can challenge themselves on the course with the top finishers earning their own invite to the Sunday Knockout rounds. And new for 2018, Saturday will serve as the AMA Amateur Grand Championship for Extreme Enduro. 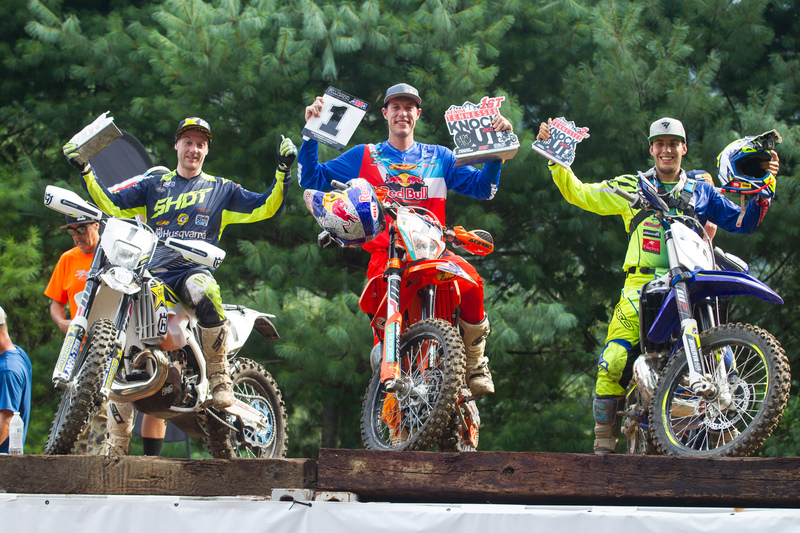 The seventh annual KENDA AMA Tennessee Knockout, presented by Moose Racing and SRT will take place on August 12-13, 2017 at the Trials Training Center. The TKO has gained a reputation as one of the premier off-road motorcycle races in the US and has attracted some of the World’s top racers to try to take the win. Despite stiff competition, FMF KTM Factory Racing backed Cody Webb has dominated the TKO for the last four years. In 2016, he topped South African Wade Young and in 2015, he won an epic battle with the UK’s Johnny Walker.